After 2-month preparation, China Foundation for Poverty Alleviation (CFPA) registered in Nepal at 13:30 on 13 August,2015. The signing ceremony was held in Social Welfare Council (SWC) office. 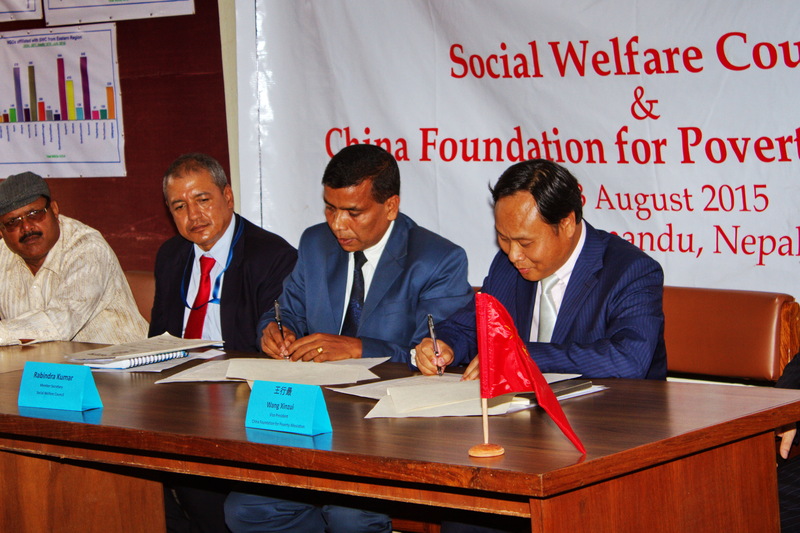 CFPA was the first Chinese NGO which signed the General Agreement with SWC on the occasion of the 60th anniversary of the establishment of diplomatic relationship between China and Nepal.